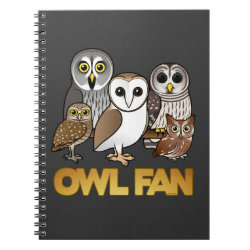 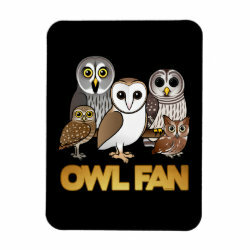 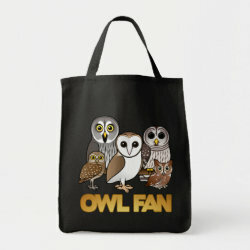 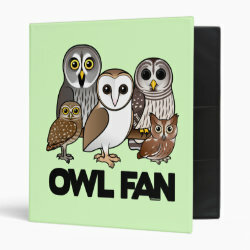 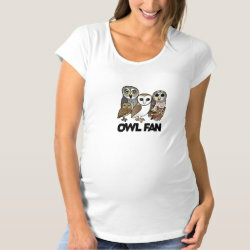 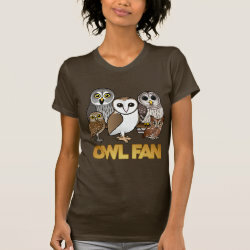 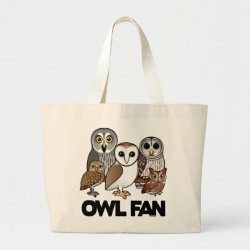 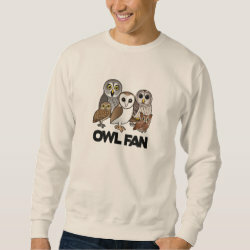 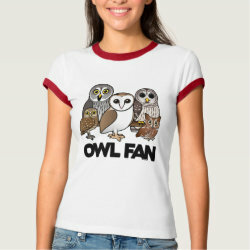 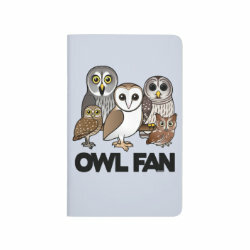 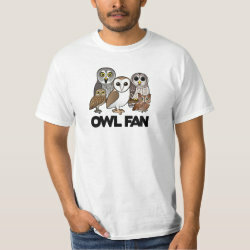 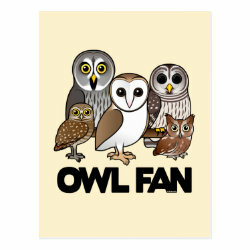 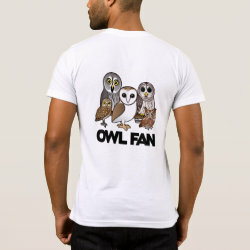 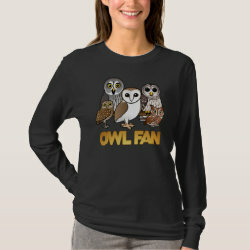 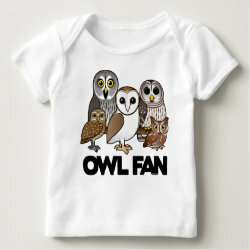 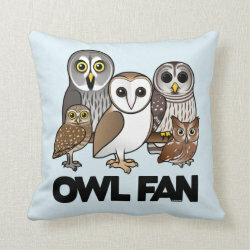 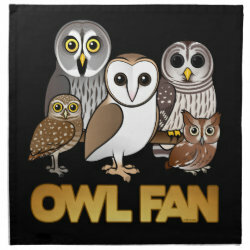 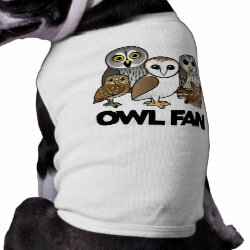 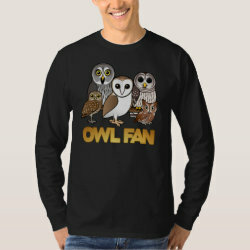 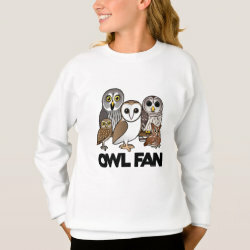 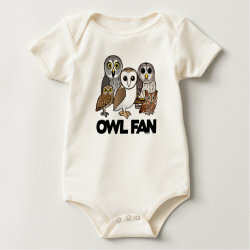 This awesome original design for owl lovers features five of our cute Birdorable owls together with the words "Owl Fan". 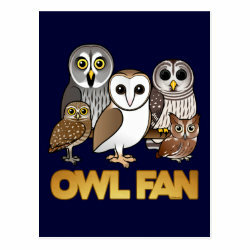 The owls are: Great Grey Owl, Barred Owl, Burrowing Owl, Barn Owl and Eastern Screech Owl. 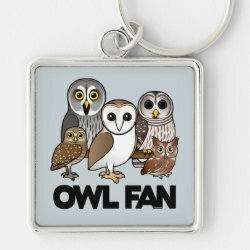 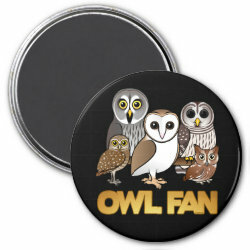 This will make a great gift for owl lovers and bird watchers.